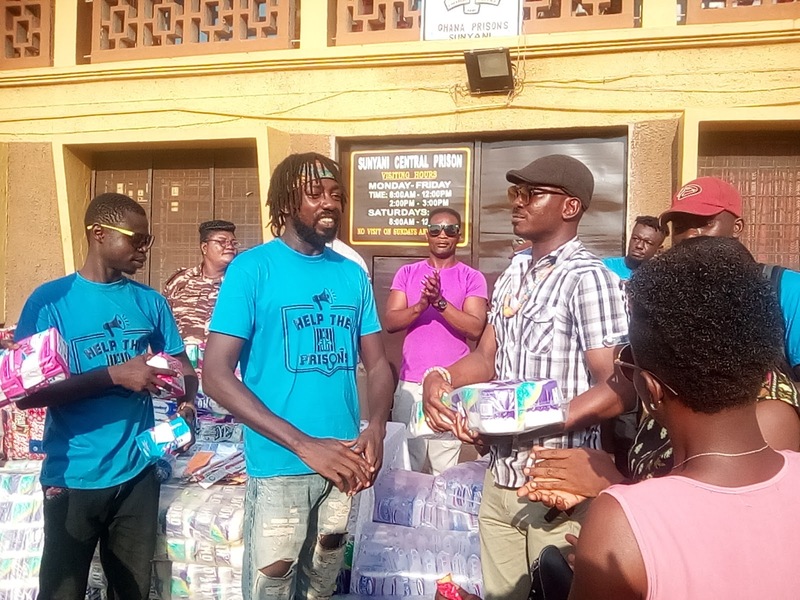 Bono rapper, Kwamenana Gyabaah, popularly known as Kooko, has made a donation to the inmates at the Sunyani Central Prisons. In his quest to put smiles on the faces of prisoners in the country, Kooko commenced his 'Help The Prisons' Campaign on Sunday, November 25, 2018. 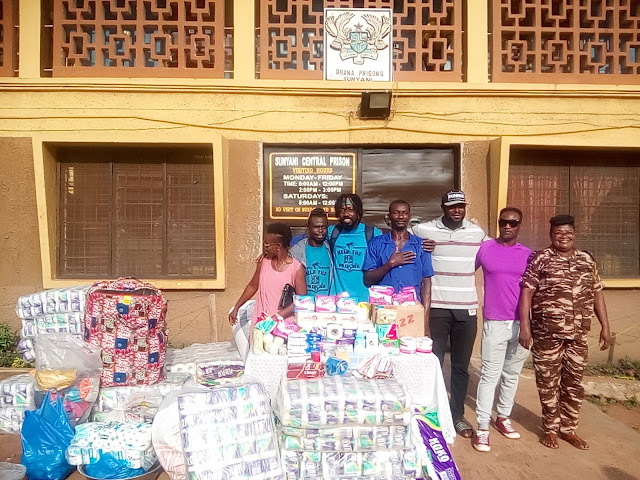 Items donated to the inmates at the Sunyani Central Prisons worth about GHS 10,000. The items shared among both female and male inmates included foods, bags of water, clothes, a range of toiletries, etc. Speaking in an interview with Newshuntermag.com after the donation, Kooko said there is the need for everyone to extend a helping hand because anybody can end up in a prison. "Prison can be a second home for anyone. Yes anybody can end up in a prison...so all of us have to try and help our brothers and sisters who are here. 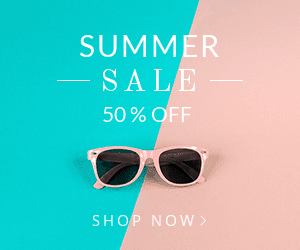 It is very sad when you see the conditions they found themselves in," he said. The 'Obiato' hitmaker added: "This gesture won't end here, we will try and visit other prisons across the country. I will use this opportunity to thank all those who help us to make this dream come into reality." 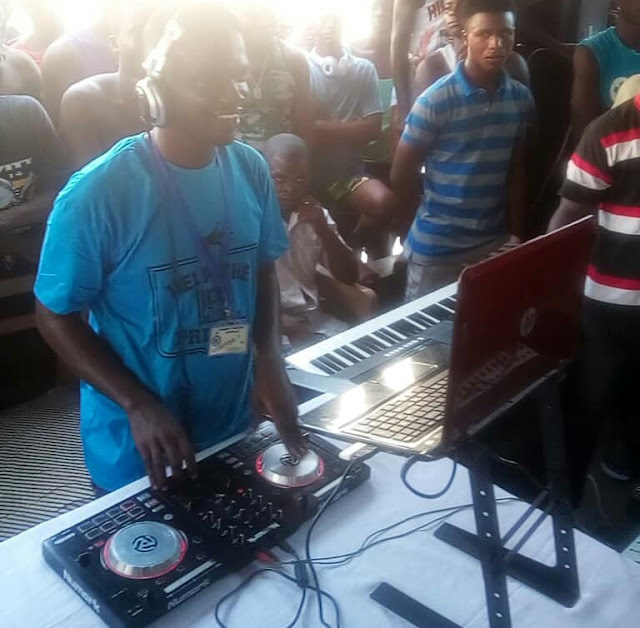 He also thrilled the inmates by giving out an electrified performance--alongside DJ Kastiva, who doubles as the Artiste Manager for BAM Nation Records. Ahead of the donation, Kooko and his BAM Nation crew released a special song for the prisoners titled 'Nyame'. The Staff Officer to the Brong Ahafo Regional Prisons Commander, DSP Nana Adare Boateng, who received the items on behalf of the inmates was full of praises. He thanked the Bono rapper for the gesture and therefore called on others to come to their aid. 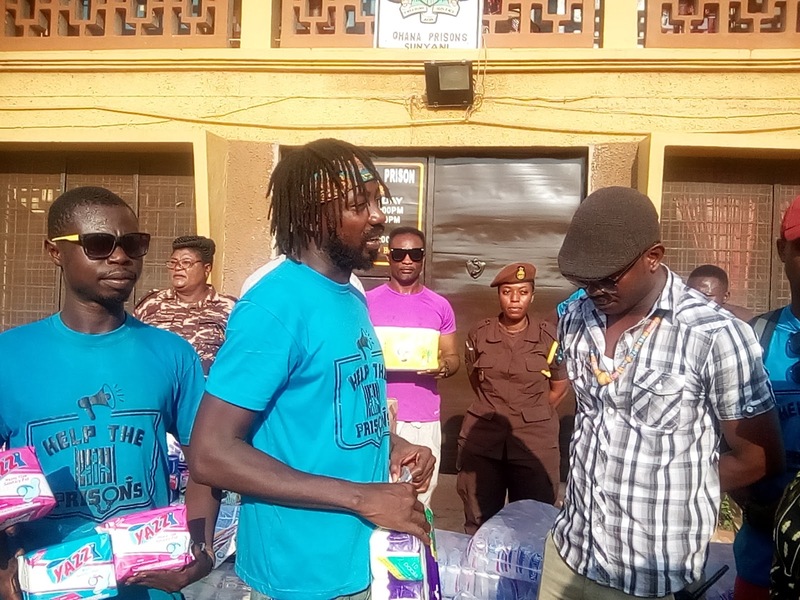 On his part, the Public Relations Officer (PRO) for B/A Prisons, ASP Johann Nartey said the performance put together by Kooko and his team will go a long way to de-stress the inmates. "Most of them are emotionally depressed, but with the performance from Kooko and his team, I believe most of them will be relieved of their pains and dream dreams when they sleep," he stressed.